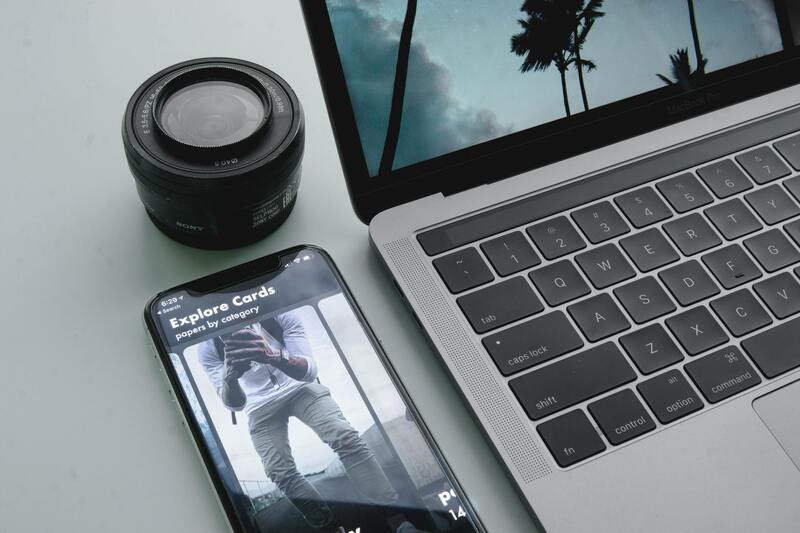 Whether you’re a blogger or you write articles for an online magazine or newspaper, chances are you’ll find yourself asking whether your article needs an image or not. The answer is always “Yes”. Images bring an article to life and can also contribute to your website’s SEO. This post explains how to fully optimize an image for SEO and provides some pointers on using images for the best user experience. Images, when used with care, will help readers better understand your article. The old saying “A picture is worth a thousand words” probably doesn’t apply to Google, but it’s certainly true when you need to spice up 1,000 dull words, illustrate what you mean in a chart or data flow diagram, or just make your social media posts more enticing. Google Images was recently revamped with a brand-new interface. You’ll also find new filters, meta data and even attribution. The cool new filters show that Google increasingly knows what’s in an image and how that image fits into the larger context. It’s always better to use original images – those you have taken yourself – than stock photos. Your team page needs pictures of your actual team, not this dude on the right or one of his stock photo friends. Off topic: never mind that dude needs a haircut. Your article needs an image relevant to its subject. If you’re choosing a random photo just to get a green bullet in our SEO plugin’s content analysis, then you’re doing it wrong. The image should reflect the topic of the post or have illustrative purposes within the article of course. Try to place the image near the relevant text. If you have a main image or an image that you’re trying to rank, try to keep that near the top of the page, if it makes sense. There is a simple image SEO reason for all of this: an image with related text ranks better for the keyword it is optimized for. There’s more about image SEO later. If you don’t have any images of your own that you can use, there are other ways to find unique images and still avoid stock photos. Flickr.com is a nice image source for instance, as you can use Creative Commons images. Don’t forget to attribute the original photographer. I also like the images provided by sites like Unsplash. Our blogger Caroline wrote an awesome overview of where to get great images. Steer clear of the obvious stock photos, picking the ones that look (ok, just a bit) more genuine. But whatever you use, it seems like images with people in them always look like stock photos, unless you took them yourself. In the end, that’s always the best idea. Obvious alternatives for photos could be illustrations, which is what we use, or graphs. An honorable mention should go to animated GIFs, as they are incredibly popular these days. But even though animated GIFs are popular, don’t go overboard. It’ll make your post harder to read, as the movement of the image distracts your readers’ attention. They can also slow down your page. Image SEO starts with the file name. You want Google to know what the image is about without even looking at it, so use your focus keyphrase in the image file name. It’s simple: if your image shows a sunrise in Paris over Notre Dame Cathedral, the file name shouldn’t be DSC4536.jpg, but notre-dame-paris-sunrise.jpg. The main keyphrase would be Notre Dame, as that is the main subject of the photo, which is why it’s at the beginning of the file name. Loading times are important for UX and SEO. The faster the site, the easier it is to visit and index a page. Images can have a big impact on loading times, especially when you upload a huge image then display it really small – for example a 2500×1500 pixels image displayed at 250×150 pixels size – as the entire image still has to be loaded. So resize the image to how you want it displayed. WordPress helps by automatically providing the image in multiple sizes after upload. Unfortunately, that doesn’t mean the file size is optimized as well, that’s just the image display size. This one is essential for SEO as well, and if you’re using WordPress it’s done for you since it was added by default from version 4.4. Images should have the srcset attribute, which makes it possible to serve a different image per screen width — especially useful for mobile devices. The next step in image SEO should be to make sure that scaled image is compressed so it is served in the smallest file size possible. Of course, you could just export the image and experiment with quality percentages, but I prefer to use 100% quality images, especially given the popularity of retina and similar screens. You can still reduce the file size of these images by removing the EXIF data, for example. We recommend using tools like ImageOptim or websites like JPEGmini, jpeg.io or Kraken.io. When you’ve optimized your images, test your site with tools like Google PageSpeed Insights, Lighthouse, WebPageTest.org or Pingdom. While Google is getting better at recognizing what’s in an image, you shouldn’t rely on their abilities just yet. It all comes down to you providing the context for that image — so fill in as much as you can! Now your image is ready to use, but don’t just throw it into your article anywhere. As mentioned earlier, adding it close to related textual content helps a lot. It makes sure the text is as relevant to the image as the image is to the text. 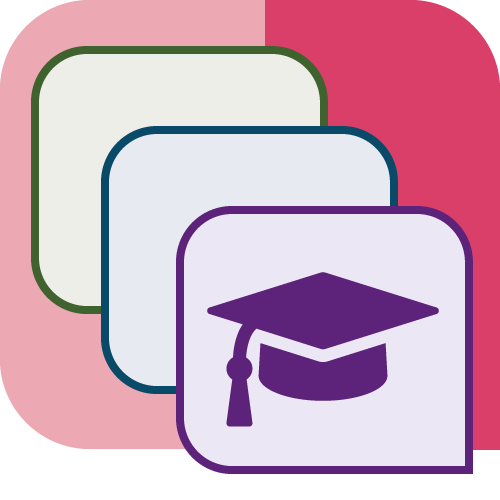 Save 60% by bundling all courses! Do you need to add captions to every image? No, because sometimes images serve other purposes. Decide whether you want to use yours for SEO as well or not. Bearing in mind the need to avoid over-optimization, I’d say you should only add captions where it would make sense to the visitor for one to be there. Think about the visitor first, and don’t add a caption just for image SEO. Be sure to add alt text to every image you use, and make sure the alt text includes the SEO keyword for that page (if appropriate). Most importantly, describe what’s in the image so both search engines and people can make sense of it. The more relevant information surrounding an image has, the more search engines deem this image important. Google has a number of guidlines you need to follow if you want your images to appear rich in image search. Main takeaway is that the image attribute is mandatory and that your images should be crawlable and indexable. You can find them all Google’s Structured Data General Guidelines. Try out Structured data training if you want to learn how to add structured data to your pages! 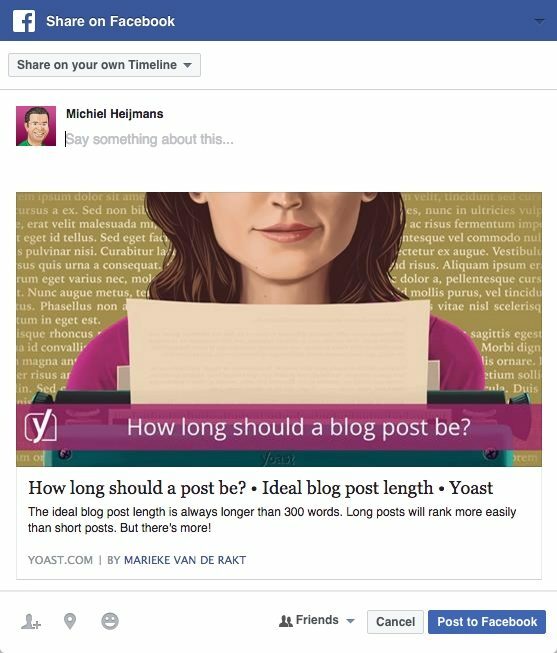 Our Yoast SEO plugin has a Social section where you can set and even – in the Premium version – preview your Facebook and Twitter posts. Make sure you use a high-quality image, like the original image you used in the post, as the social platforms use higher quality/larger images more often than not. If you have set this up correctly, and it doesn’t work, try to flush Facebook’s cache in the URL Debugger. Twitter Cards do the same for Twitter and are also generated by our plugin. If you use an image at the same width as your text column, that’s fine and it will even help emphasize the image more. I’ll be honest: this has absolutely nothing to do with image SEO, but I saw the chance to express my opinion and used it! I think it’s bad for user experience. So, just to please me: don’t do this. Thanks, I appreciate it. Every now and then, people ask us about XML image sitemaps. We don’t generate these in our plugin, but follow Google’s advice and include them in the page or post sitemaps. Just scroll down in our post sitemap and you’ll see we have added images to all our latest posts (there is a column just for that). Adding images to your XML sitemaps helps Google index your images, so be sure to do so for better image SEO. Image SEO is the sum of a number of elements. With Google getting better at recognizing elements in images every day, it makes sense to make sure the image and all its elements contribute to a good user experience as well as SEO. It would be foolish to try to kid Google. Provide all the context you can! Copyright 2018 Pyxels Design Studio.